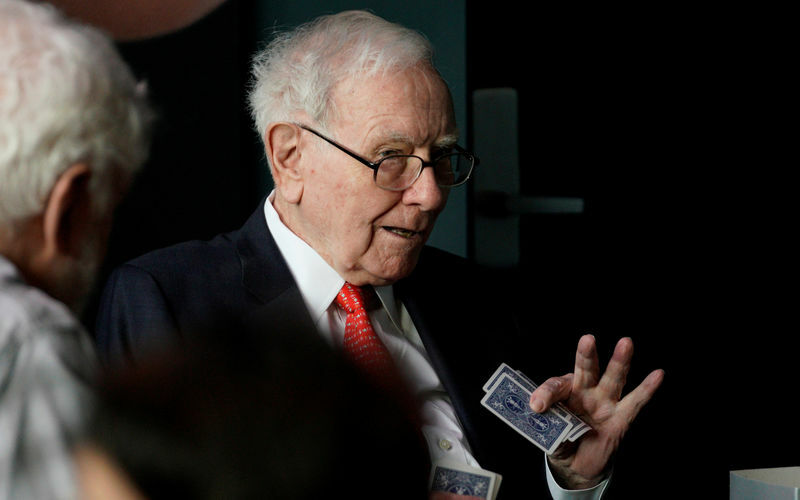 (Reuters) – Warren Buffett, Wells Fargo (NYSE:) & Co’s largest shareholder, urged the bank in an interview with the Financial Times on Sunday to look outside Wall Street for a new chief executive officer. “They just have to come from someplace (outside Wells) and they shouldn’t come from Wall Street. They probably shouldn’t come from JPMorgan (NYSE:) or Goldman Sachs,” Buffett told the FT.
“There are plenty of good people to run it (from the Wall Street banks), but they are automatically going to draw the ire of a significant percentage of the Senate and the U.S. House of Representatives, and that’s just not smart,” Buffett was quoted as saying. Wells Fargo, JPMorganChase and Co and Goldman Sachs Group Inc (NYSE:) were not immediately available for comment outside regular business hours. Tim Sloan, stepped down as chief executive of Wells Fargo last month, becoming the second CEO to leave the bank in the fallout of a wide-ranging sales practices scandal. The company’s board said in a statement at the time that it concluded it was best to seek an outside candidate to replace Sloan. The bank’s general counsel, C. Allen Parker, one of the few newcomers in the bank’s top ranks, serves as interim chief executive.